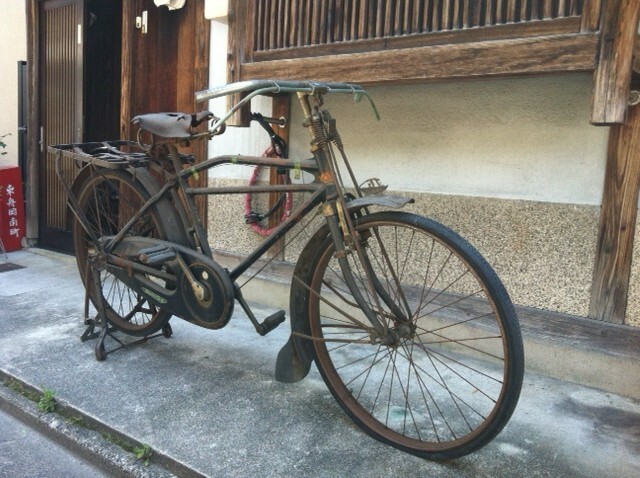 Back in July, a Mr. "W" from Kyoto sent me an inquiry asking if I could find any information on a bicycle he acquired and was considering restoring. 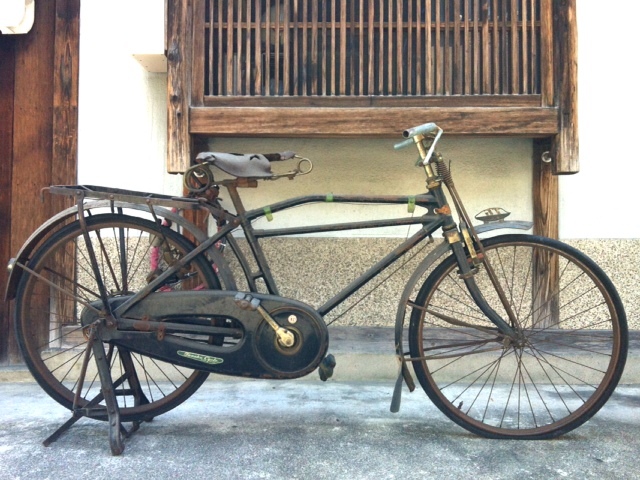 After checking my limited references I discovered that this bicycle "TG" was manufactured in Nagoya by Tanaka Bicycle Works around or prior to 1954. 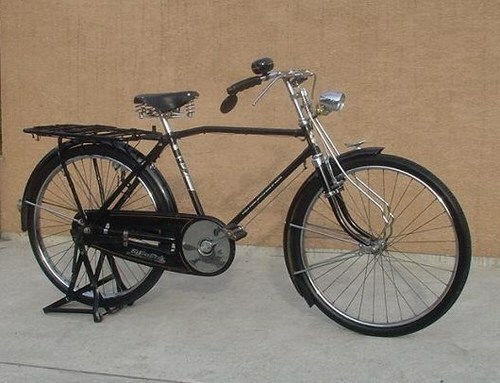 Interesting find indeed, although utility bicycles and roadsters are nice, I have a soft spot for carrier cycles. 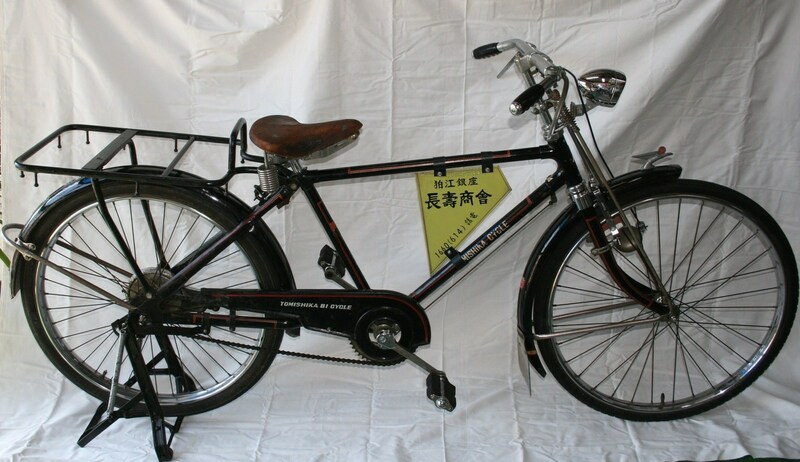 In fact my main ride (below) which I use to commute daily to work falls into the category of "light-carrier" cycle as opposed to heavy (duty) carrier cycles. 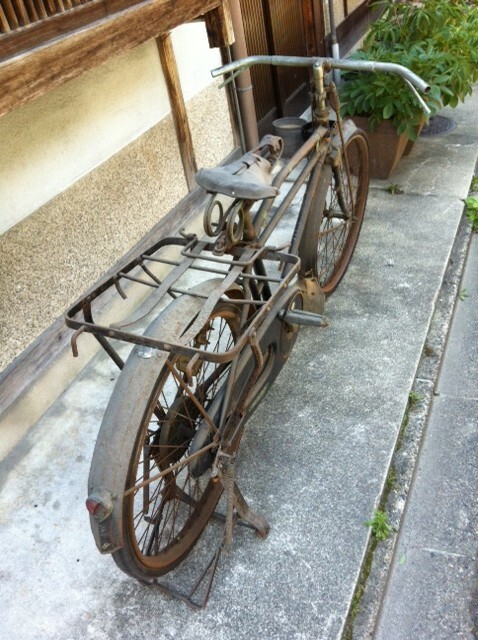 Mr. W found himself an excellent restoration project. I'm sure there are people out there (the non-believers) that take one look and think "trash", but I can assure you that, with patience and passion, this marvelous TG carrier can be brought back to the original treasure that it once was. 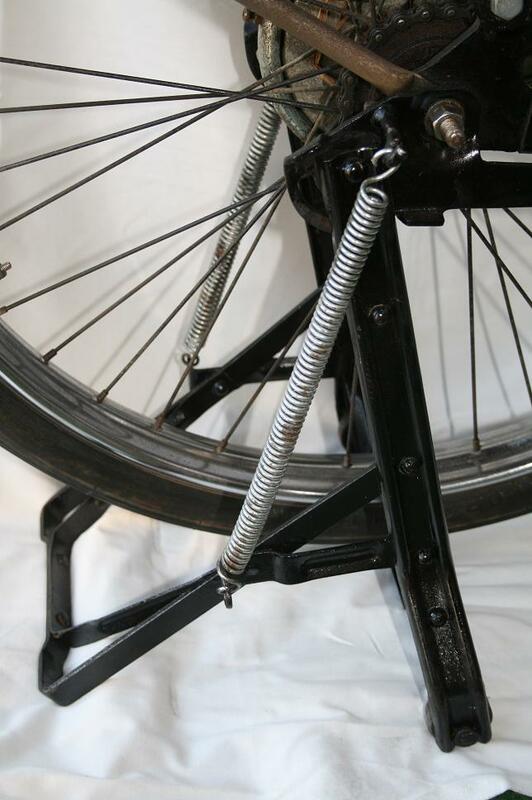 (2) Extra tube for reinforcement behind the seat tube. Remember that these heavy haulers used to pull trailers. 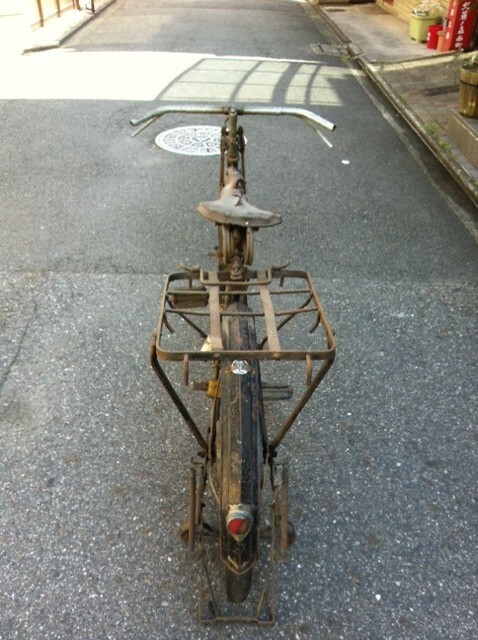 (3) Full chaincase. 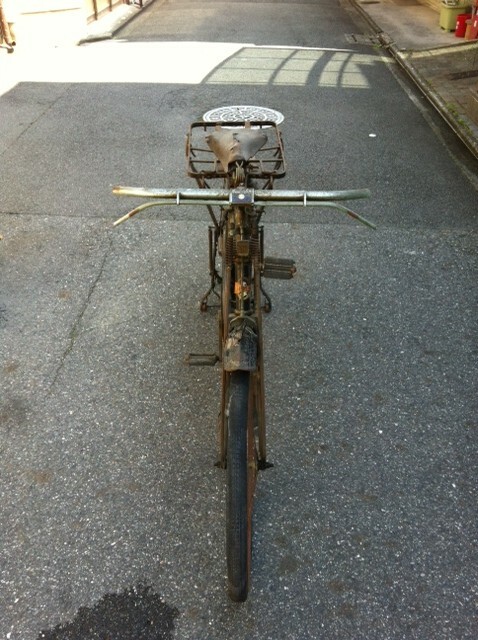 This is rare to find on what appears to be a heavy-carrier. 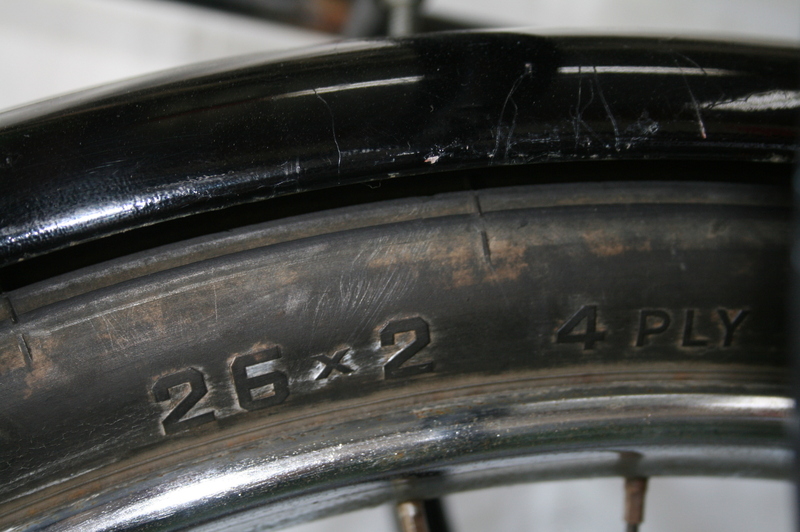 Carrier cycles with their 1 3/4 or 2 inch BE tires in the front, 2 - 2.5 inch BE tires in the rear guarantee a smooth ride. (5)Roller stand The rollers make it easy to engage the stand even when the carrier cycle is carrying a load. 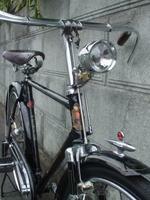 We'll take a look at a few of the finer details in in the next post. No, not new. But it has a certain beauty.